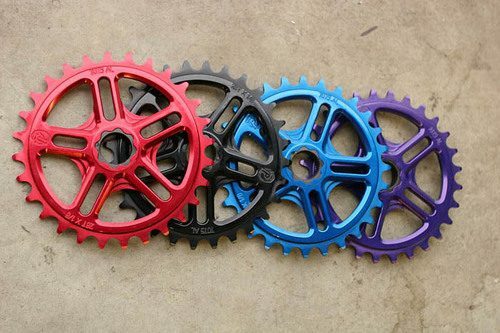 Profile just posted some images of their completed splined sprockets. 25t and 28t is all they have in stock now. Soon they’ll be making runs with larger teeth count for the fixed market. Really nice looking! Will go well with their No-Boss cranksets and shorter fixed bottom bracket spindle. Once the larger teeth runs are available, I’ll letcha know! New Profile Fixed Goods in Stock!